A pair of illustrators turned tiny blips in data into vivid views from the TRAPPIST-1 star system. Fifteen years ago, Tim Pyle was animating spaceships for Invader Zim on Nickelodeon. These days, he illustrates exoplanets orbiting stars in the Milky Way. This week, Pyle watched from the office he shares with Robert Hurt on the Caltech campus in Pasadena as the internet exploded over their latest artwork. 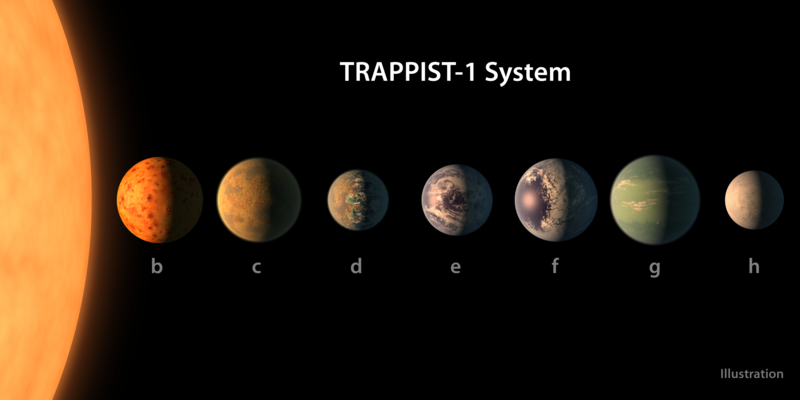 NASA announced on Wednesday the discovery of seven Earth-sized planets around a star called TRAPPIST-1 nearly 40 light-years away, some of which orbit in the habitable zone, where liquid water could exist. Pyle and Hurt provided the illustrations that came with the news, artistic renderings of unknowable worlds that only show up in data as tiny blips. The process involved near-constant back-and-forth between the artists and the astronomers behind the findings, who work at the University of Liège, the Massachusetts Institute of Technology, and other institutions. The astronomers gave Pyle and Hurt all the information they had on the seven TRAPPIST-1 exoplanets: their estimated size, the time it takes for them to complete one loop around the star, and their gravitational interactions with each other, which provide some hints about their masses. Together, they came up with what Hurt calls “plausible models” for what these alien worlds might look like. They used off-the-shelf software, like LightWave 3D and Adobe After Effects and Photoshop. The vernacular astronomers use to describe things we can’t see arises from that which we can see: what’s inside our own solar system. TRAPPIST-1b, the innermost planet, was modeled after Io, Jupiter’s moon. Both objects closely orbit their parent star or planet, and are subjected to intense radiation that turns their surfaces into orange, volcanic terrain churning with lava. Io and Planet B are tidally locked (like the rest of the TRAPPIST-1 planets), which means one side perpetually faces the parent object. Planet C, next in line, is spared the worst of the star’s heat, but there’s enough to make it a pale, rocky world. 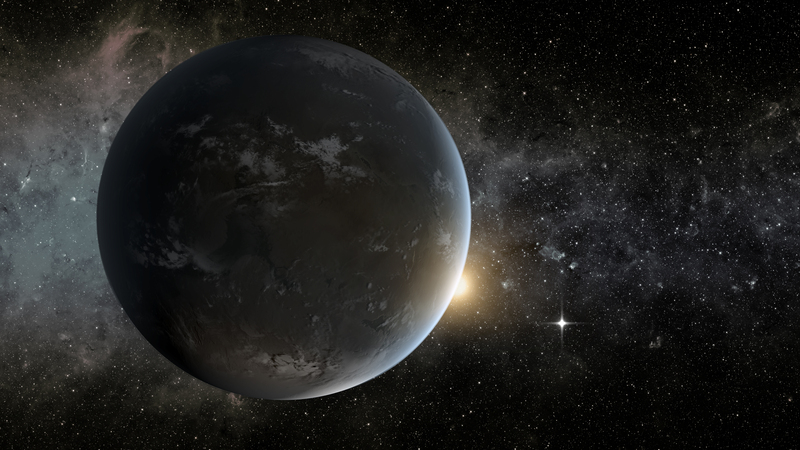 Planet D is a double agent, far enough into the habitable zone to potentially harbor water on its night side, but not enough to sustain it on its day side. Hurt teased the possibility of water by drawing a sprinkling of turquoise along Planet D’s terminator, the edge between starlight and darkness, where temperatures could be just right. Planets E and F appeared to be less dense than their siblings, so they became water worlds like Earth, swirling with blue and white, because water is less dense than rock. Astronomers don’t know whether any of the planets have atmospheres, but Planet G, as the largest in the lineup, seemed the likeliest to be able to hold onto one. It was modeled after Neptune, with a few wisps of cloud. Hurt picked the color green for Planet G to avoid comparisons to the gas giants in our own solar system. 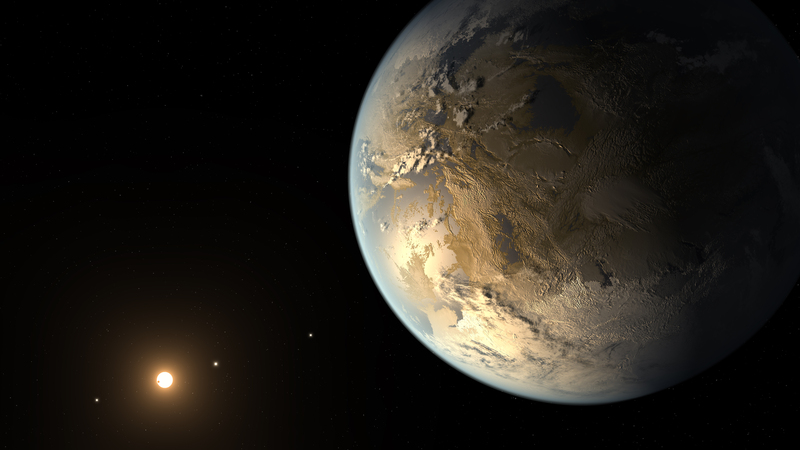 The scientists know the least about Planet H, the last one they could detect. But any object that far out from its star would be extremely cold, so Planet H became an ice ball. 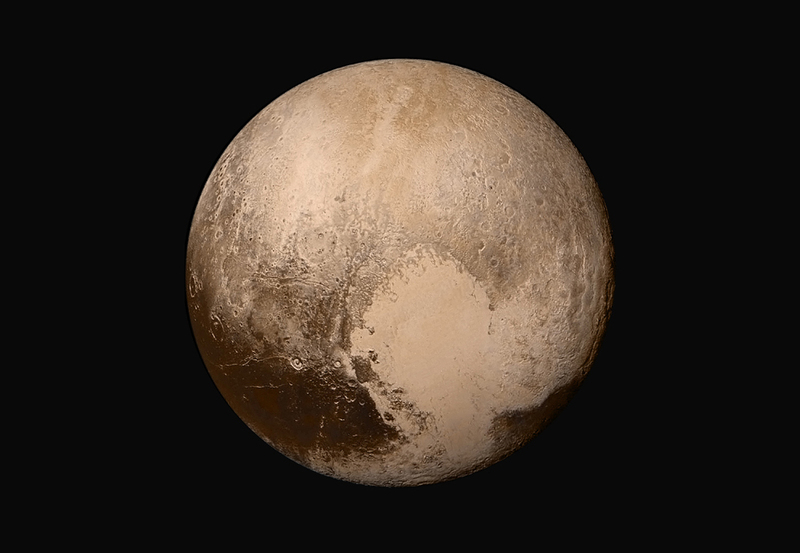 If the colors in the system seem too vivid or rich for the vast expanse of space, consider Pluto. The dwarf planet was long thought to be a monochrome ball of ice and rock, until New Horizons showed up two years ago and revealed anything but. See those tiny breaks? Those are the planets. That’s literally it. So there’s a lot of experimentation. Some initial designs went a little too far. “In the design of each planet, we will create a first pass at them, we’ll send that to the scientists, we’ll get a lot of feedback on the things that we did take maybe some creative liberties with, and the scientists will help us guide them more toward what they believe the models would support,” Pyle said. But the astronomers made some concessions for art’s sake. The artists reduced the amount of cloud cover the scientists suspected on some planets in order to expose more surface features. Throughout the process, Hurt and Pyle walked the line between Earth-like and alien. An exoplanet that resembles Earth too much gives the public the wrong idea about what astronomers found; the TRAPPIST-1 planets are about the size of Earth, but the similarities could stop there. Their job was to convey the possibility, not the certainty, of liquid water. Even a hint of deep green could suggest inadvertently the presence of vegetation. Sometimes you just have to alien it up. Take for example the imagined surface view from Planet F at the top of this story. Pyle said his early designs included icebergs that looked too Earth-like, so he added more sharp edges. “We wanted to create the sense when you looked at this image that you were sitting on another planet, not just sitting up by the Arctic,” he said. The TRAPPIST-1 system is, by cosmic measures, just down the road from Earth. But we can’t image its star and planets directly with current technology. And it’s unlikely, despite NASA’s exoplanet tourism posters, humans will ever go there, at least not the humans Earth has now. It would take almost four decades of traveling at the speed of light to reach TRAPPIST-1. For now, our best view is these illustrations. Hurt wishes that people will enjoy taking in that view. “I hope they just stop for a moment and go, ‘Wow,’” he said.